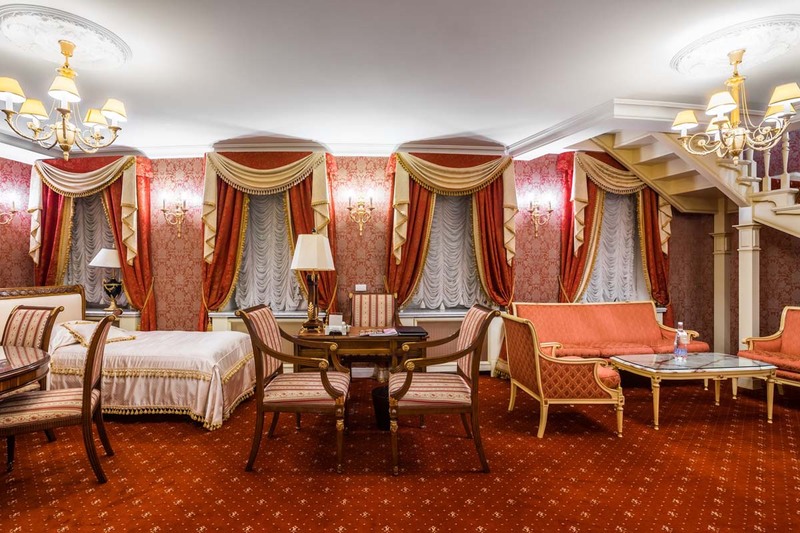 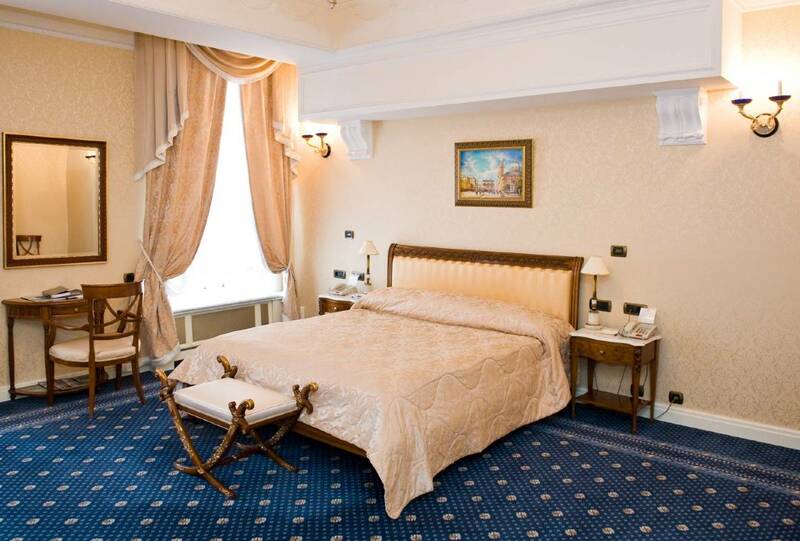 Individuality is the defining characteristic of the Executive Suites in Taleon Imperial Hotel in St Petersburg. 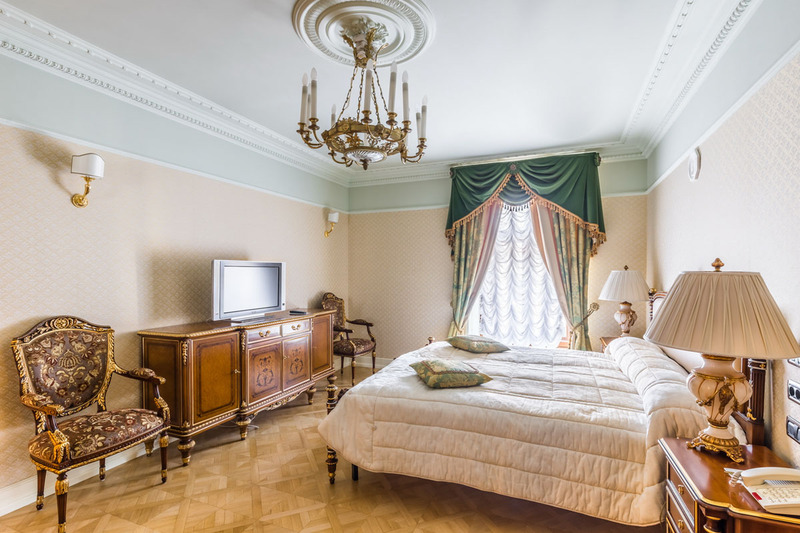 Each suite is unique in layout and décor, and provides ample space averaging 75 m2 (800 sq ft). 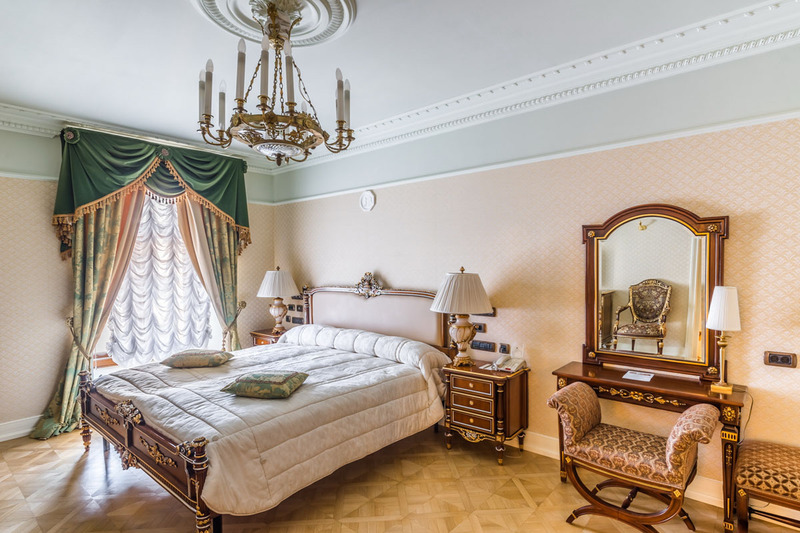 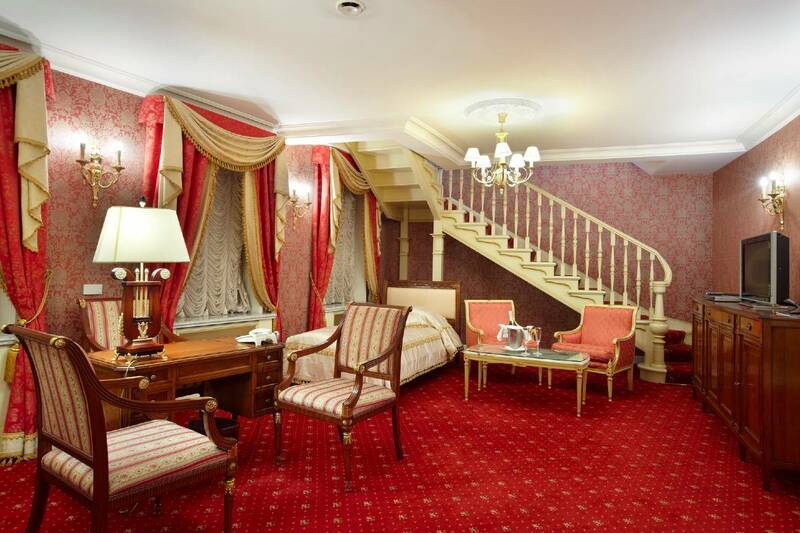 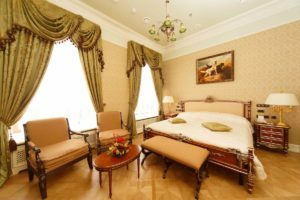 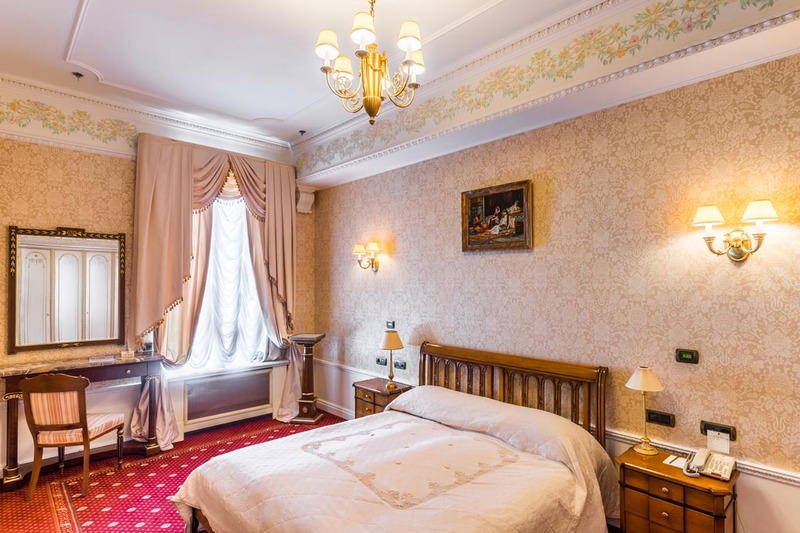 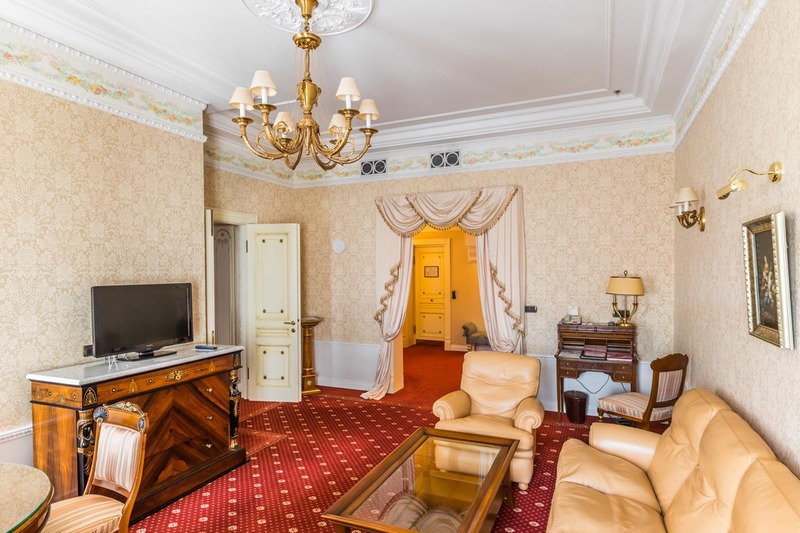 These suites have views of the Moika River, Bolshaya Morskaya Street, Nevsky Prospect, or the Courtyard. 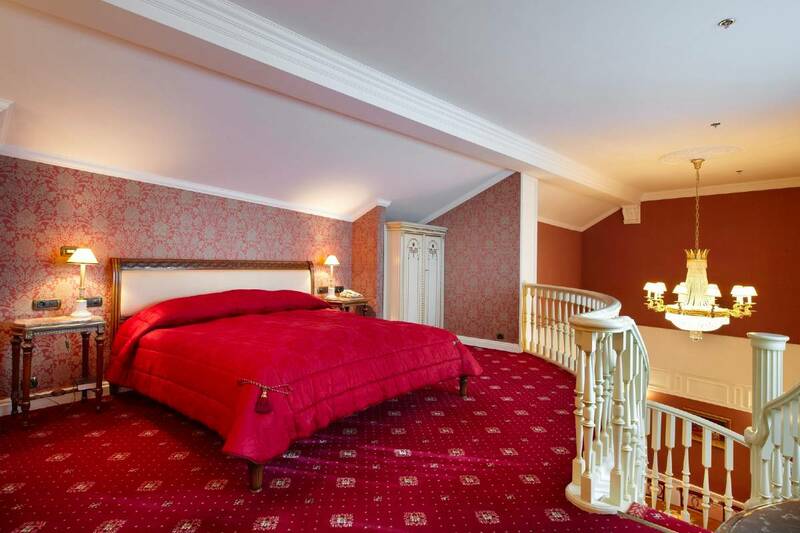 Guests can choose various configurations – one or two rooms laid out over one or two levels; the split level suites have a living room on one floor and bedroom on the other, connected by beautiful stairs. 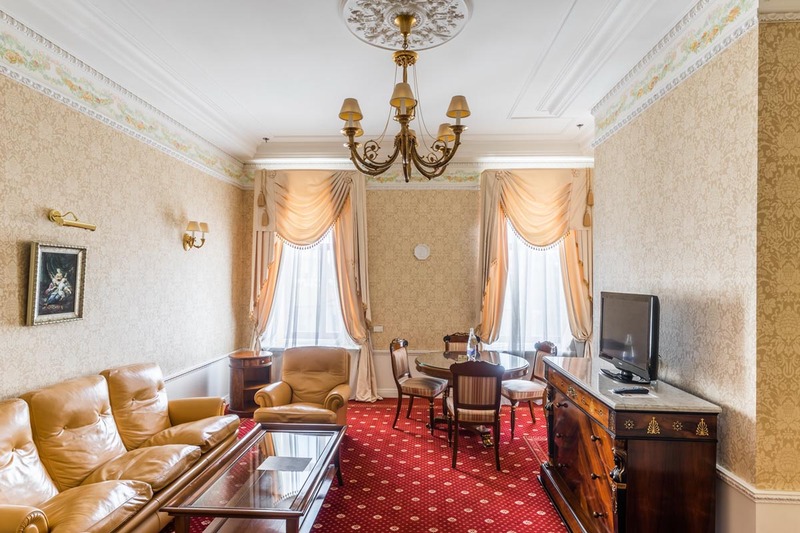 Each suite boasts a king-size bed, and a separate room for business meetings or entertaining, with four chairs and a table. 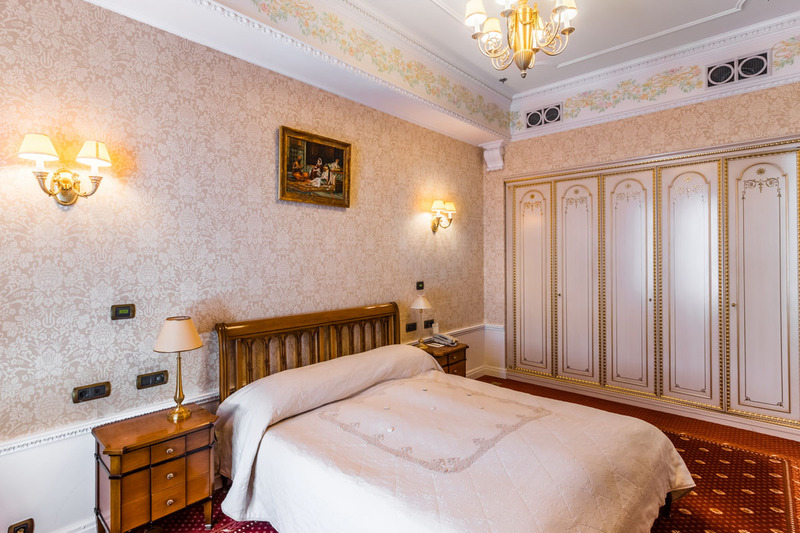 An extra bed is available in all rooms. 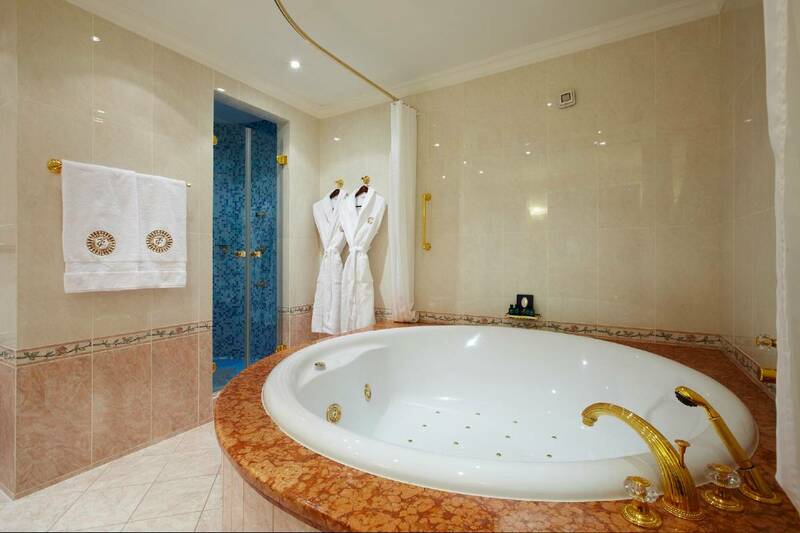 The marble bathrooms have gold-plated fittings; bathtub and shower, and some have a Jacuzzi.